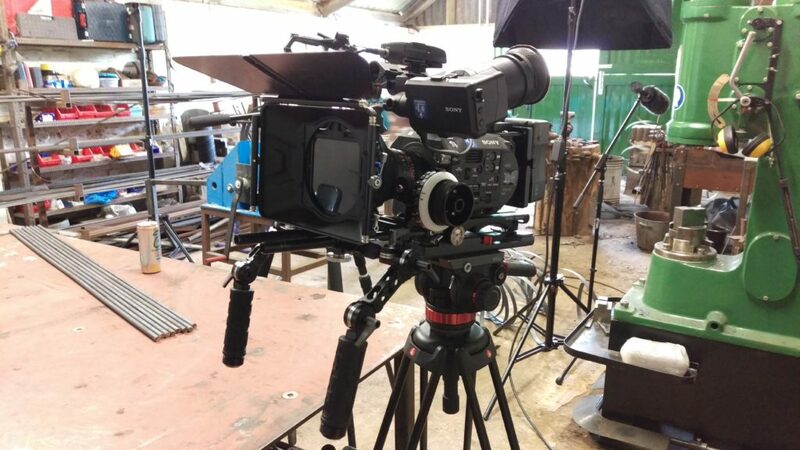 In May 2016, we produced a number of side projects to test the capabilities of the Sony PXW-FS7, which is our current camera of choice. A few years ago, before I joined No Magnolia, I made a video for my friend Joel Tarr, a self-taught blacksmith from Kent. Since then, he’s come on leaps and bounds in his trade and I thought this would be a great opportunity to make a new version in his current workshop. Joel’s story is an interesting one. We met at university way back in 2004 and worked together on a few projects there. He seemed to have a very promising future in film and television production ahead of him, but had to put it all on hold when he fell ill towards the end of the course. Sadly, Joel had developed Chronic Fatigue Syndrome as a result of food poisoning. Due to the nature of his condition, Joel had to leave that world behind and create opportunities for himself. With an interest in metal work, he began to teach himself how to forge iron. 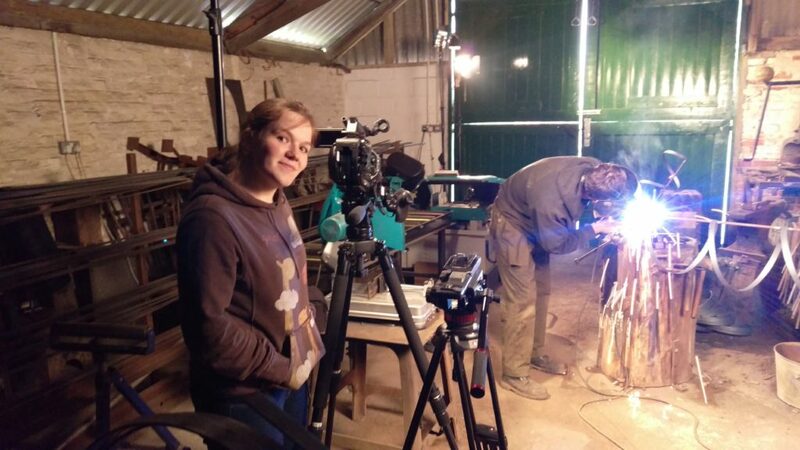 Using a forge made from a car break drum, a hairdryer as an air blower, and a scrap bit of RSJ as an anvil, Joel began his journey from amateur blacksmith to profiteering metal artist. In 2013, Joel was scouted to take part in ‘Monty Don’s Real Craft’, a TV series which aired in 2014, which gave him access to some expert mentoring from leading professionals in the industry. Since then, he has built up his career and now works from a large workshop on the Godinton House estate in Ashford where he takes commissions, sells unique items and offers lessons to anyone interested in blacksmithing. While the shoot was conceived largely as a test for the camera, I didn’t want to just produce a collection of pretty shots. I wanted the film to be something Joel could use to promote his business that would also give a little insight into his life. The previous video I shot gathered some attention, but I didn’t get a chance to shoot any of his bespoke work, like the cormorant that features in this new version. Nienke and I shot this over a couple of days at Joel’s workshop. 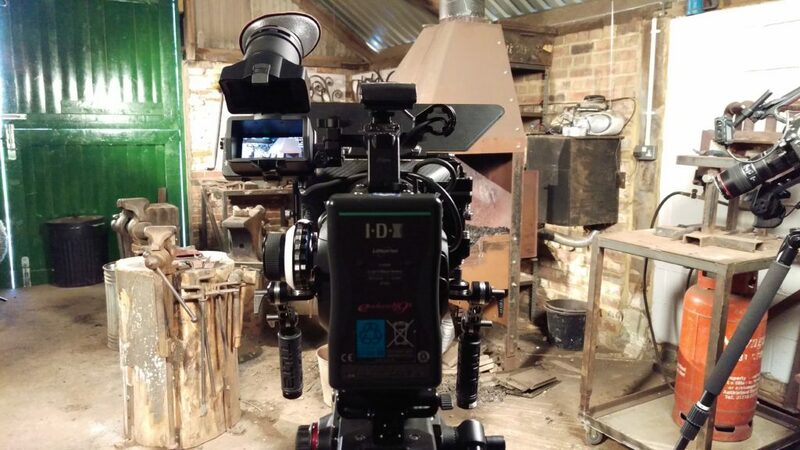 We had two cameras shooting in 4K SLog3, one getting wide shots while the other was on close ups. The house lighting in the workshop is fluorescent, but I wanted some low key mood lighting, so brought a few fresnels and LED panels along to give it a kick in production value. The only issue here was that Joel struggled to see while he was welding under my lights, so I had to stop and let him continue with the house lights on, but he was kind enough to let me get the shots I needed first. We’d love to produce more ‘profile’ videos like this. I really like making little films about artists, and particularly those who do something a little out of the ordinary or have a particular style. 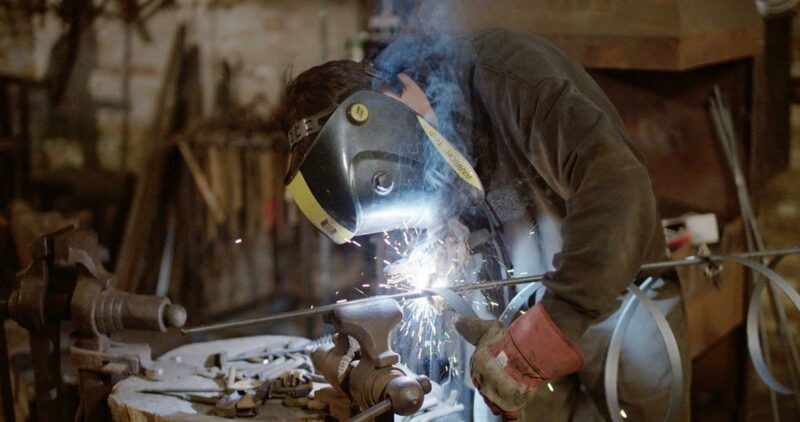 Blacksmithing isn’t exactly unheard of, but you certainly don’t meet someone like Joel every day. If you’re interested in commissioning Joel for some bespoke artwork, or you’d like to enquire about his one on one lessons, visit his website here.